Fermentation for health benefits and food preservation stretches back thousands of years, it’s one of the earliest forms of preparing food and preserving it, yet it’s not nearly as common in modern society as canning or dehydrating. But thankfully, it’s quickly growing again and has even become, dare I say it, somewhat trendy. 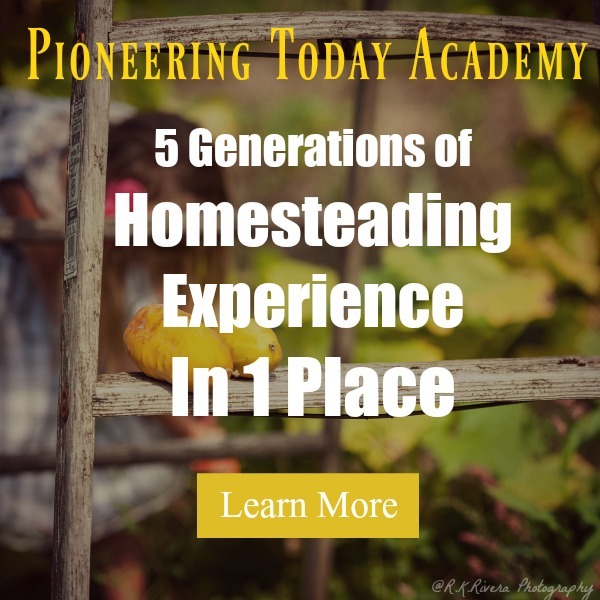 Holler for homesteading stuff crossing over to the mainstream. If you’ve been curious about fermenting, how it actually works, what the true health benefits are, and more, then you my friend are in for a treat today. I’ve brought on Carolyn Thomas from Home Steading Family today. She is a mother of 9 children, and has mastered feeding lots of mouths on healthy, home grown food. She is going to share with us her knowledge about fermenting. 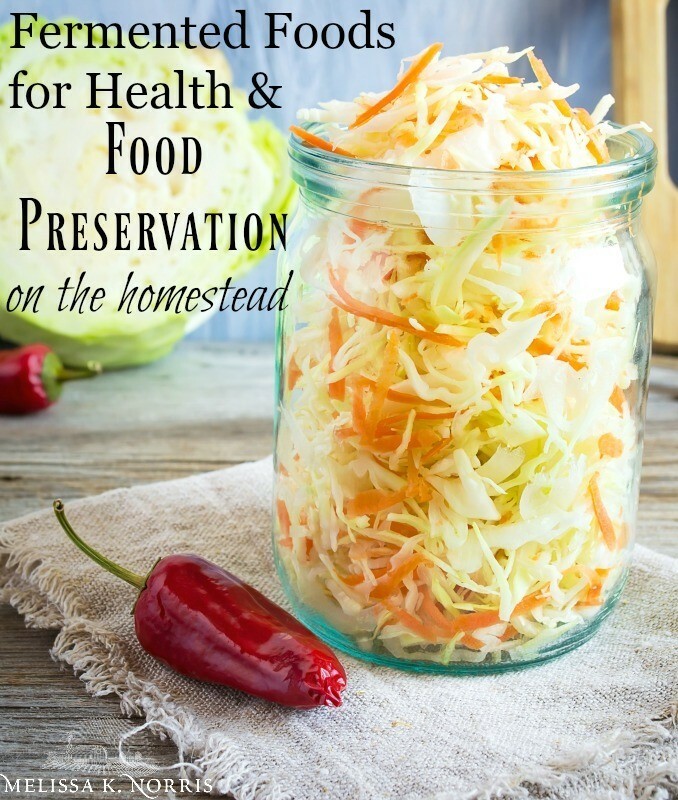 Listen below to, Fermentation for Health Benefits & Food Preservation, Episode #145 of the Pioneering Today Podcast, where we teach families how to grow, preserve and cook their own food using old-fashioned skill sets and wisdom to create a natural self-sufficient home, with, or without, the homestead. 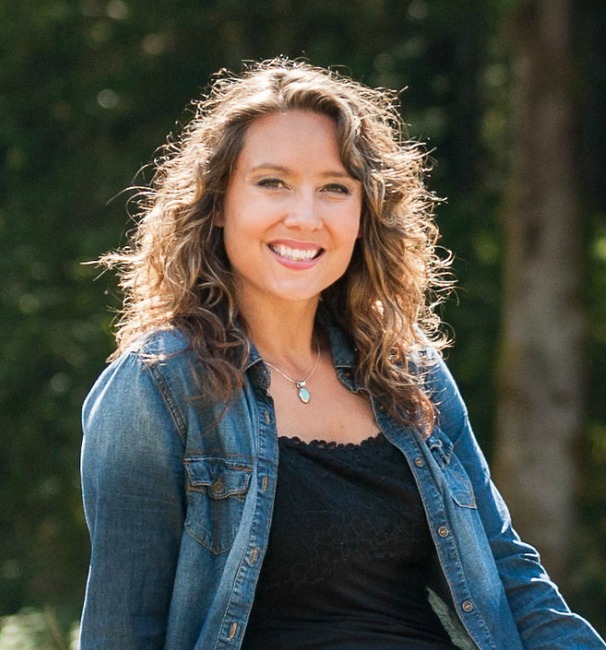 Carolyn: Thank you so much Melissa, I am so excited to be here and to get to speak with you and to all of your listeners. It’s a great topic, and I’m with you, it’s one that is near and dear to my heart. What’s more at the heart of life than good food? It just bring everybody together, not only do you get to nourish your body, but you really nourish your soul. The heart of the homestead in my opinion really is the kitchen. Lately, I have learned and fallen in love with fermenting. 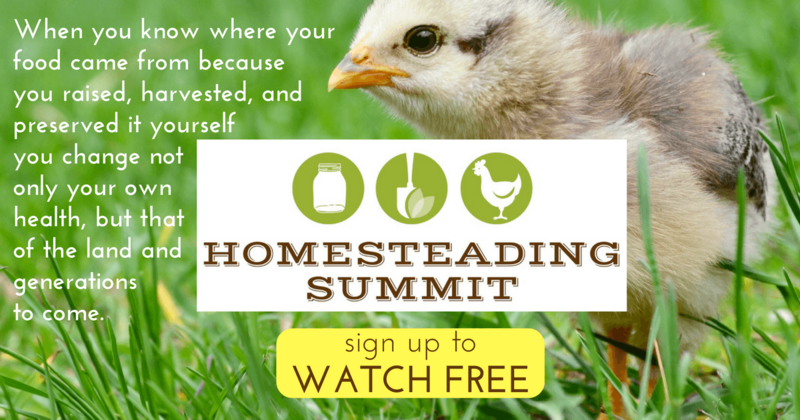 Fermenting Recipes & Video Lesson: Watch Carolyn’s FREE fermenting presentation in the Modern Homesteading Summit this week. Register here plus get 27+ other presentations covering sourdough, dehydrating, and more starting June 10th. Click here –> Yes, save my seat and sign me up! Can healthy food really taste good? Carolyn: Absolutely, this is a problem that I think that we have from the industrial model of food. Is that when you take a tomato and you ship it thousands of miles, then it has to sit on a grocery store shelf, it really just doesn’t taste good. It’s inherently lacking something. Then we go and call that health food, and it really doesn’t taste that great. Now when you bring that same thing right out of your garden and it is fresh and it is so delicious, and then you bring it into your kitchen, well then the children have a different relationship with that food. It’s exciting to eat it in that case. How do you get your kids excited to eat healthy food? Melissa: I’ve noticed that with my own kids, is when they have a hand too in actually growing it, tending to the garden, planting it, and harvesting it. When they have that hands on part of it, they really do eat the things that they grow, and they’re much more open to trying something new. I try to grow a new variety or a new plant every year, just to keep it fun and introduce new things. They’re so much better at being adventurous and trying it and eating it, even if it is a healthy vegetable, than if we purchased it from the store. Carolyn: Absolutely, in our house we started something years ago where we would give the kids each their own little garden plot. They get to pick out a couple of seed varieties all by themselves from the seed catalog, and they get to plant that. It’s entirely their project. Then the food that comes out of the garden is even more exciting when they can take it into the kitchen and cook it themselves. Melissa: I love hearing that they’re already developing so many of these skill sets that so many of us didn’t. I was lucky enough to have the opportunity to grow up in this lifestyle as well, so I grew up that way. We all helped in the garden, helped my mom with canning. My dad taught me to forage for wild mushrooms and that type of thing from basically from the time I could walk. What are the benefits of Fermenting? 1. Probiotics, vitamins, and enzymes are all such an amazing part of fermented foods. What we seem to forget in this idea of having healthy fermented foods, is that originally it was the preservation technique. When fermenting, your food is alive. That has huge health benefits for us. You have all that good bacteria that is actually changing the product. 2. Increased gut health. If you’re trying to heal your gut, or you’ve had gut damage, you’ve got two really cool things happening with the fermentation. Fermenting gives you this natural bacteria. You are helping to colonize and increase the quality of the good bacteria, because you’ve got the lactobacillus bacteria working within those foods that we’re fermenting, and then we’re eating them. Increased micro nutrients and the macro nutrients. Since your food is raw, you’re keeping all of these nutrients in there and not cooking any of them out. You’re able to absorb the healthy food better. 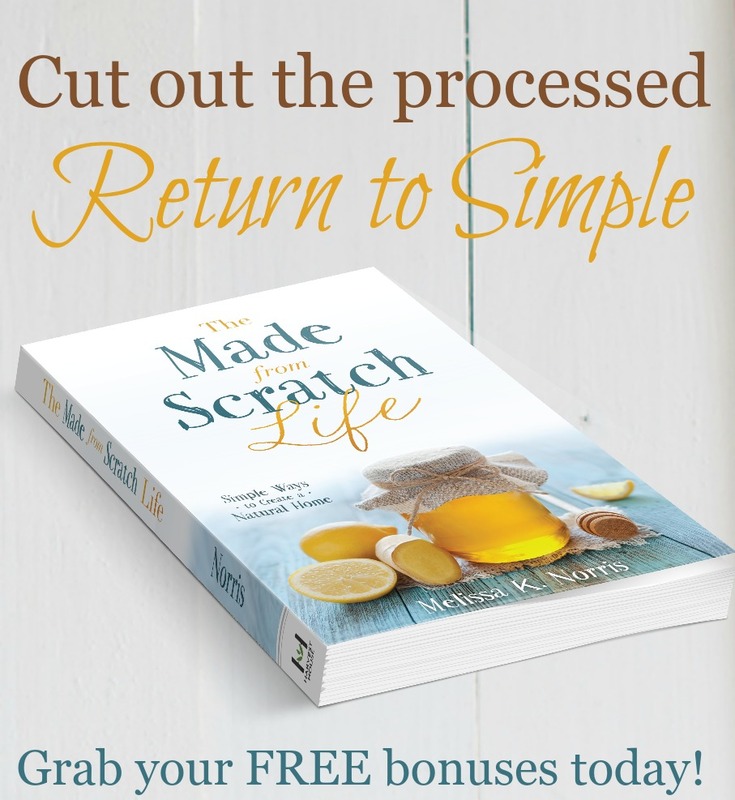 When you have some gut damage, or you’ve got leaky gut, your gut lining has been permeated and you’re not always able to absorb the healthy nutrients and to digest it and then use it in your body. But with fermented food, it’s easier for you to digest, and it’s easier for your body to get the nutrients that are in it and put it into your body and to actually absorb it and work. 3. Energy Efficiency. Not only do we not have to buy-in as much electricity, or propane, or whatever it is that you would be using to maybe dehydrate or can foods, but your own energy is also saved a lot. It’s very energy efficient when it comes to the actual preservation process, and to the actual eating process. It really helps your body to have more energy freed up for other things, partly because of the enzyme counts in fermented food, which is really high. 4. Digestive Enzymes. Fermented food is super high in enzymes, so that helps to not only digest the fermented food that you’re eating, but every other food that you’re eating alongside of it. 5. Less labor. It can be so easy to ferment foods. It’s so quick and simple, and that’s one thing that I just love about it. You can literally just drop it into its brine, cover it up, and you’re good to go, you’re done. The tomatoes that I do that way take about, 30 seconds to fill a jar, and put a cap on, and I’m done for the year. How cold do you have to keep fermented foods? 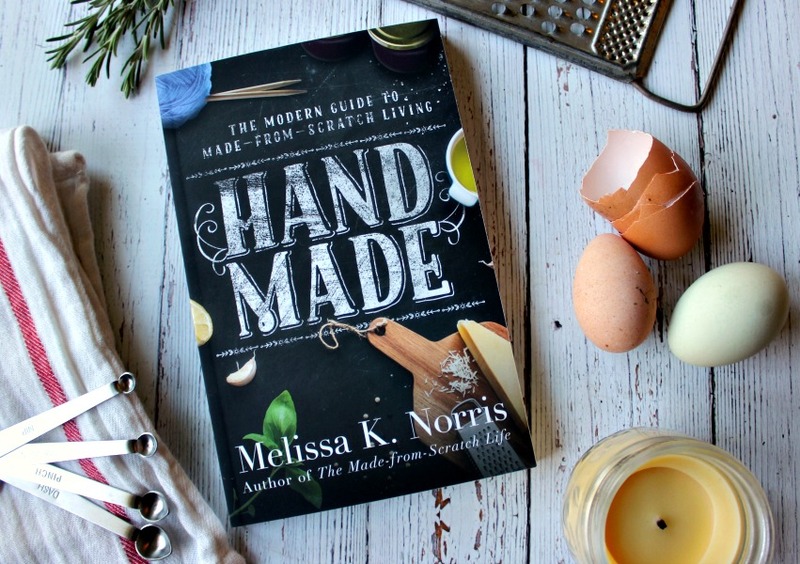 Melissa: I’ve really fallen in love with using fermenting for when I’ve got those smaller amounts of harvest, and I don’t have enough to do up an entire run of something, or perhaps the time. The only drawback for me, is I run out of space when it comes to cold storage for year-round eating and months down the road. Carolyn: That’s an issue that a lot of people have. There is a direct correlation between how hot your environment is, and how quickly something ferments. You do not have to take it all the way down to refrigerator cool in order to have it store a lot longer. As long as you can get it down to under 50°, you really get it to stabilize pretty well for quite a few months. 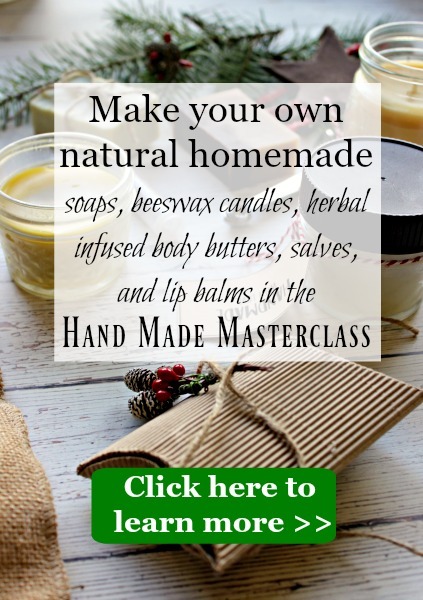 What does fermenting do and how does it work? The way that it works, is as you take your food and you mix it with salt and you put it into that anaerobic environment of being under liquid, under that brine, your good lactic acid bacteria is going to start multiplying and growing. Lactic acid can handle the salty environment. However, some of the bad bacteria’s, the ones that cause food spoilage, cannot handle the salt, and they won’t multiply as quickly. The lactic acid really does an amazing job at preserving your food. The great thing about it, is the flavors just get more and more complex and delicious. The great thing about fermenting is that it’s always changing, so you have a new product every few months as it sits and infuses and gets even stronger. I like to tell people that when you’re fermenting, you’re being a farmer, except your garden is a jar, or a vessel of some sort, and the plants that you’re trying to grow is actually your bacteria. What you need to do, is you need to make sure you’re growing the good plants, or the good bacteria, and suppressing the bad plants, or the weeds, which would be the bad bacteria, or the molds. When the lactobacillus bacteria start multiplying, they are eating the sugars in your food, and the carbohydrates in your food, and turning that into lactic acid. That lactic acid is then preserving the food in the state that it’s in. Another wonderful thing that those lactobacillus bacteria do, is they actually hunt down and they kill any bad bacteria that is in there. Once they get strong enough in your vessel, they will hunt down and kill anything that would potentially cause food poisoning if it was a raw product and it was sitting on there. And then things like botulism just can’t grow, because it’s such an acidic environment. What size vessel do you use when fermenting? Fermenting crocks I have some eight gallon, five gallon, one and two gallon crocks, but honestly they’re heavy, and they’re a lot harder to move around and to use. I find myself routinely reaching for the jars. Mason jars. The gallon jars are one of my favorites, but the half-gallon’s are pretty high up on my list too. Melissa: I do like to have the Mason jars where I can just easily put the airlock systems on top. Can I make a big batch of brine? Carolyn: Yes, you can make a big batch of brine and keep it in your fridge or on the counter and just use it as produce comes in. I’ll tend to make a couple of gallons at a time and be able to just use it for a few days. That just makes it so easy, because then you can just do a jar at a time. How do I know when my fermented food is bad? Does it smell okay? When you’re brand-new to fermenting, that’s always the thousand dollar question, does it smell okay? I don’t know, it smells funny, is that okay, or is it not okay? But when your ferment has gone bad, you will know beyond a shadow of a doubt that it is very bad, and you will not eat it. Visual. Look at it. What are the colors of mold? Usually white mold is okay, there’s nothing wrong with that, that’s either actually the least that is naturally on the top of it, or it could be a basic penicillin type mold, which is non-toxic at all. You just scrape that off the top, and you’re good to go. However, if you see colors like green, or black, or pink, or any other strange color like that, you’ll know that that food is bad and put it in the compost pile. Does all fermented food taste the same? Carolyn: No. The coolness of your area affects taste, but also each area will have a little bit different strain of lactobacillus bacteria. There’s something like over 150 different strains of lactobacillus bacteria. The bacteria that you have at your home is going to be very different than the ones that I’ve got in my part of the country in my home. You’ll get this very localized food aspect, where your pickles will never taste like my pickles, even if we’re using the same ingredients. How do I get more foods into my family’s diet, but they just don’t like the flavor of fermented foods? Start with a vegetable that’s sweet. Make a ginger, or a garlic carrot ferment, and the sweetness of those good carrots can counteract the acidity that comes from the fermented food. You don’t have to ferment things as long as somebody would that really likes the tanginess. Just ferment it until you just barely see the bubbles and then eat it, and it won’t be so strongly developed of a sour flavor. Then you can slowly start fermenting it longer and longer to really get all of the health benefits. That’ll help a lot of people just grow into it, and then you can slowly start fermenting it longer and longer to really get all of the health benefits. Starting lightly can really help people move into that area. Melissa: Oh, that is great, you have just been a wealth of information today Carolyn. I’ve so enjoyed our conversation and getting to talk about all of this. I’ve learned quite a few things too, which is always fun. Thank you so much for coming on and sharing your knowledge and time with us about fermentation health benefits and fermentation food preservation.